Republican U.S. 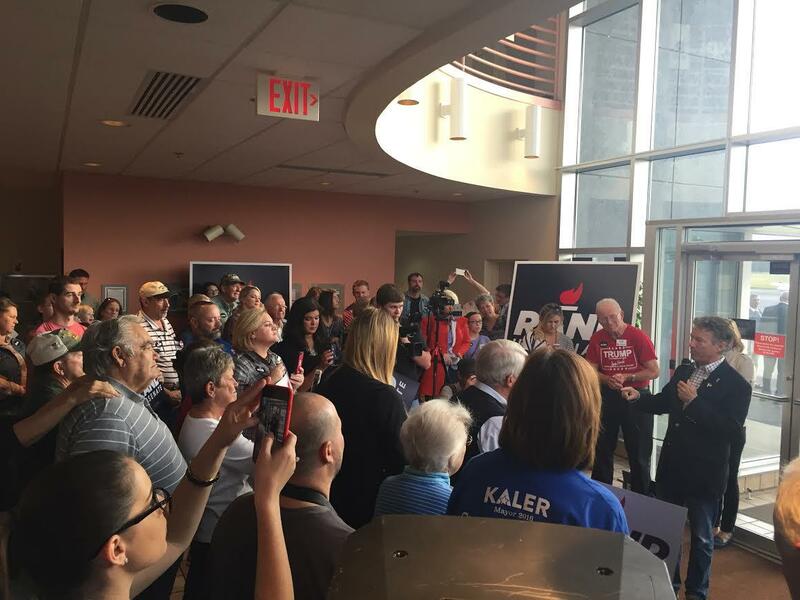 Senator Rand Paul made an election eve stop in Paducah, as part of his 'Defend Kentucky' tour. Paul spoke at Midwest Aviation, Inc. According to a news release, Paul was joined by his wife and local Republican State Representatives Steve Rudy, Richard Heath, Kenny Imes and candidates Joni Hogancamp, Paula Robinson and Paducah Mayor Gayle Kaler. Paul and Gray face each other in the November 8th general election.